It turns out I got in on Cable just in time before it plunged. Aaaand that’s 2 out of 2 for Huck! With my 110-pip win, I don’t even care about Kim and Snooki anymore! I could’ve gotten more though, if I had added more positions. Drats! Yeah, I’m a bit bummed about not getting as much moolah as I could have. But then again, a win is a win, right? 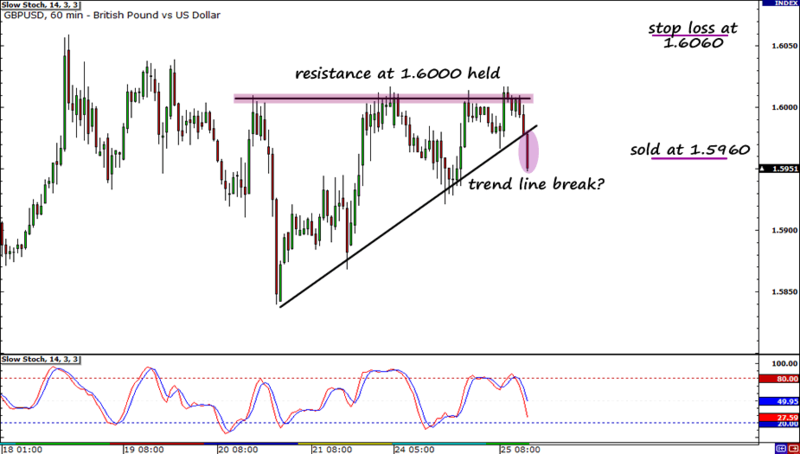 Maybe I’ll take another shot at betting my pips on the pair if I spot a setup I like. So stay tuned! Did you see the pound fall faster than Kim K.’s social status now that she’s BFF’s with Snooki? Uh-huh! But I’ll talk more about my look-alike’s new gal pal next time. For now, let’s focus on Cable. So what caused the pair to fall? According to the Dow Jones Newswire, a few big traders have been putting massive shorts on GBP/AUD, which weighed down heavily on the pound pairs. With the GDP report coming out in an hour, this is going to be a seemingly risky trade, but if I follow my plan, I think I’m alright! I pinky swear that I will stick to my plan! I’m looking for a figure lower than the 0.5% uptick that the market is anticipating because according to Pip Diddy, a worse-than-expected GDP report will most probably be bearish for the currency. I also have to keep an ear out for what BOE Governor Mervyn King has to say on the economy. I’m counting for the chap to sound dovish despite high inflation levels in the U.K., and BOE hawk Andrew Sentance’s remarks yesterday about rate hikes. It seems that the pair could tumble further down now that the ascending triangle that I’ve been watching carefully has broken to the downside. Does this mean that the uptrend has reversed? To be honest, I was thinking of shorting the pair earlier when Big Pippin pointed out a descending channel on the 1-hour chart, but changed my mind when I noticed that the pair was making higher lows. In any case, I entered at market (1.5960) and placed my stop well above today’s high, which is 100 pips away from my entry (1.6060). I’m ultimately looking for a break of the previous week low at 1.5840 so I can add to my position, but I’ll be sure to close my if support holds. 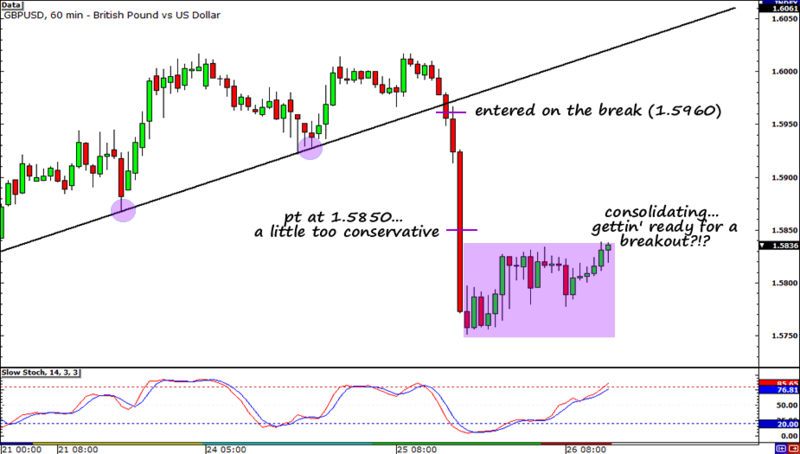 I only risked 0.50% of my account because the trade is against the trend. Let’s see if I can grab another win!